Imran Qureshi associates the aesthetic of Pakistani miniatures with political subjects on Pakistan toying with the public's response to this type of painting which has precious and ancestral nature. Produced between 2006 and 2009, the Moderate Enlightenment series corresponds to this endeavor as he constructs these images on folkloric and traditional backgrounds and adds contemporary elements on the painted figure, often in the clothing codes (camouflage pants, sports shoes, umbrella …). This practice offers the artist's viewpoint on contemporary Pakistan where friction between tradition and modernity and conflict are omnipresent. Imran Qureshi was born in 1972 in Hyderâbâd, Pakistan. He lives and works in Lahore, Pakistan. Imran Qureshi associates the aesthetic of Pakistani miniatures with political subjects on Pakistan toying with the public’s response to this type of painting which has precious and ancestral nature. Produced between 2006 and 2009, the Moderate Enlightenment series corresponds to this endeavor as he constructs these images on folkloric and traditional backgrounds and adds contemporary elements on the painted figure, often in the clothing codes (camouflage pants, sports shoes, umbrella …). This practice offers the artist’s viewpoint on contemporary Pakistan where friction between tradition and modernity and conflict are omnipresent. 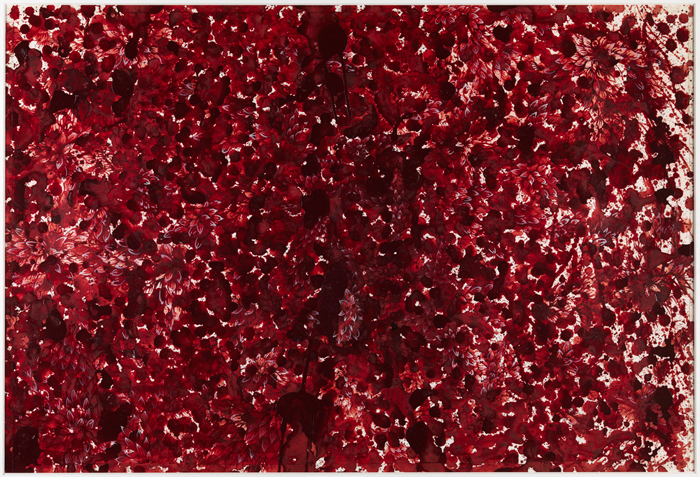 Imran Qureshi was born in 1972 in Hyderâbâd, Pakistan. He lives and works in Lahore, Pakistan.